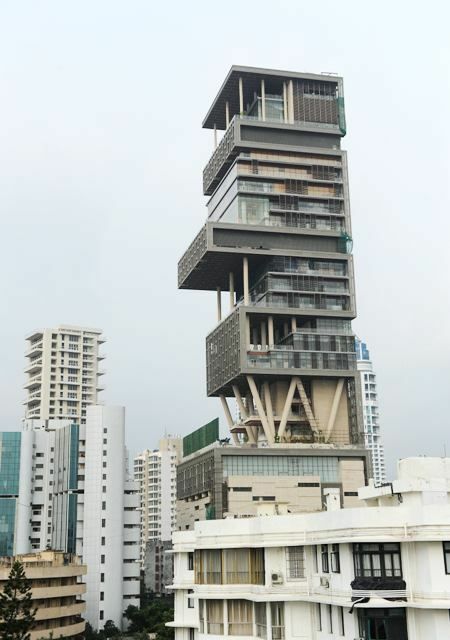 Antilia is one of the most expensive private residential properties, owned by the notable business tycoon Mukesh Ambani which is valued nearly $2 billion. 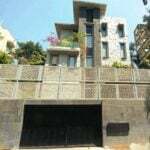 Mukesh with his wife Nita Ambani and two sons Anant Ambani and Akash Ambani, and a daughter, Isha Ambani live here in this luxurious house. 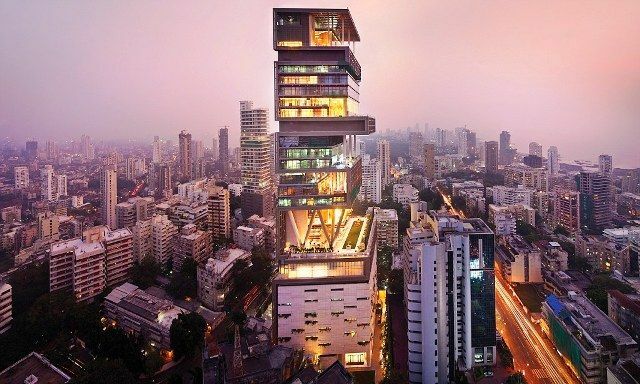 Antilia is the 4,00,000 sq. 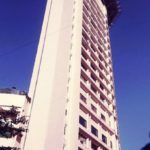 Ft. building which is located on Altamount Road, Cumballa Hill in South Mumbai. 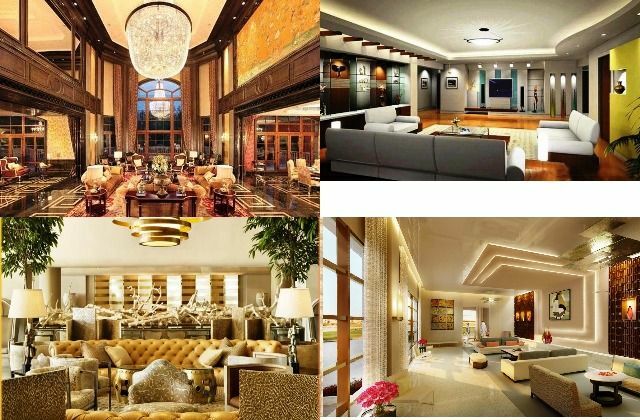 This magnanimous home includes a staff of about 600 to maintain the residence 24X7. 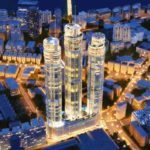 Named after a mythical island in the Atlantic Ocean, Antilia has 27 floors with extra-high ceilings than that of a standard height. 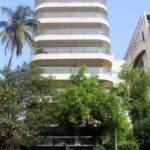 The Ambani home is equipped with a 2-story recreation centre which boasts of a gym, a health spa, a jacuzzi, separate yoga and dance studios among the several other amenities. 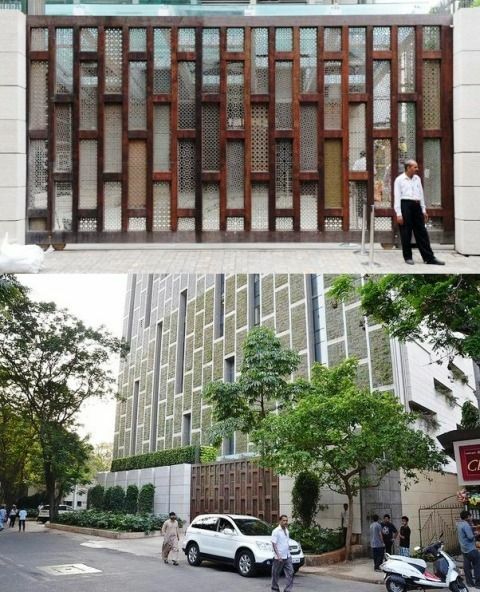 The family’s living quarters are on the top floors because Ambani’s wanted the sunlight. It lies in the space that holds the W-Shaped beams that support the upper floors. The hanging gardens are not just for show though; the plants are energy-saving devices that absorb sunlight keeping the interior of the house cool. 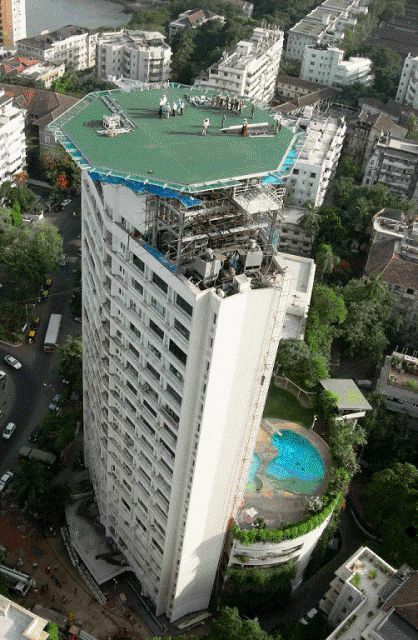 Antilia has multiple swimming pools, which will give everyone a visual treat. 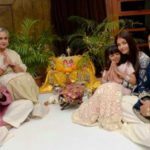 Antilia has the family’s very own Mega-Temple. 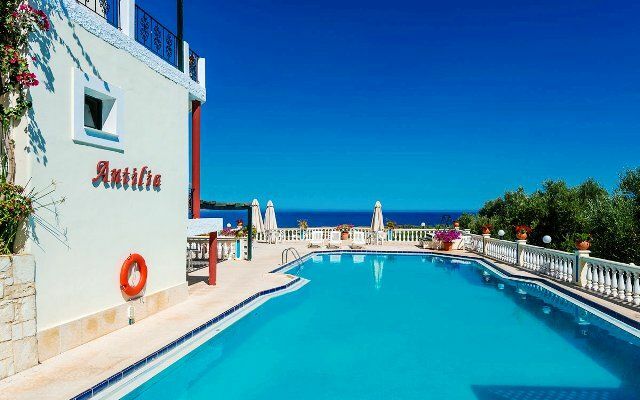 Apart from, the several guest suites, a salon, and an ice-cream parlour, the building contains a ballroom, 50-seat cinema and a 160-car underground parking garage. 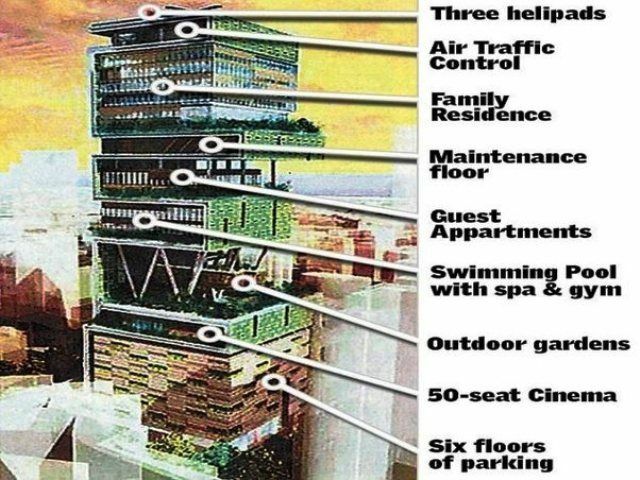 The tower alone has 9 elevators, but there are separate elevators for the guest and the family members. 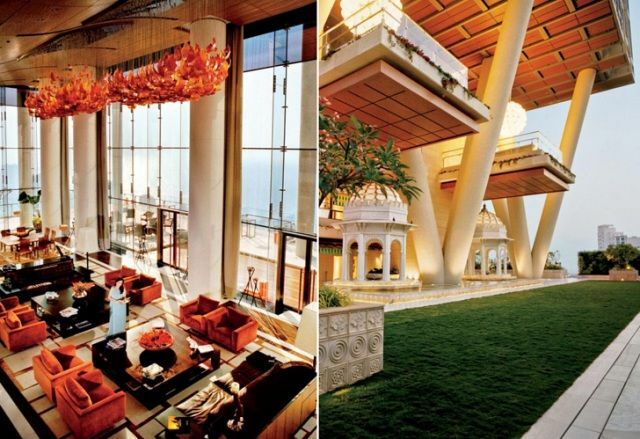 Antilia is the private luxury home of the wealthiest person in India who is Mukesh Ambani. 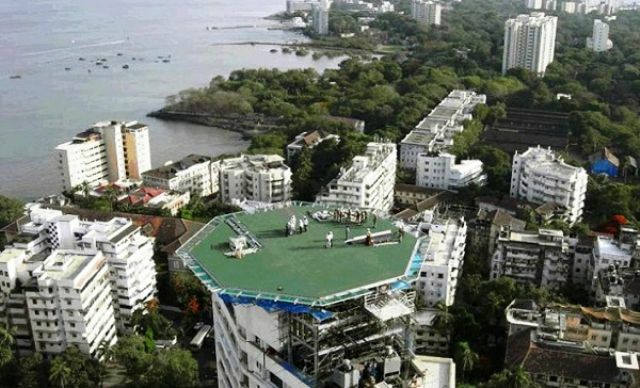 Up at the top of the building are 3 helicopter pads. 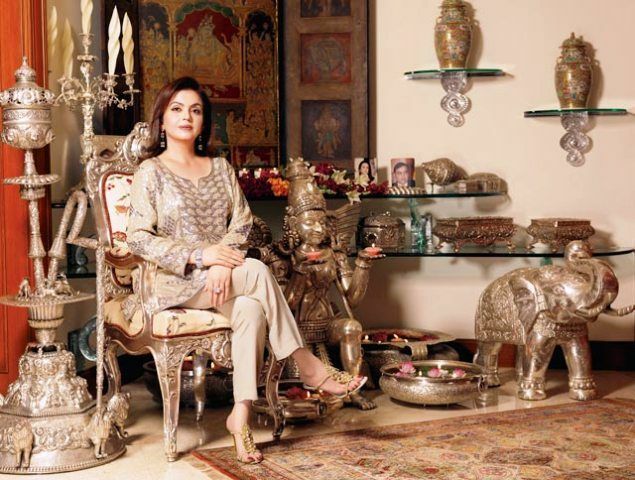 In the year 2010, his house generated a power bill of Rs 70,69,488. 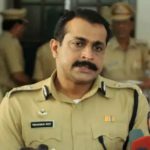 This news became a controversy as it was Mumbai’s highest residential electricity bill till date.